Before diving into consideration of the possibility that the writer of Matthew was an eyewitness to the life, death, and resurrection of Jesus, we must first consider the “synoptic problem”, the relationship between Matthew, Mark, and Luke. The Gospels found first and third in the canon, Matthew and Luke, respectively, have had a long and varied history of interpretation and understanding, especially with respect for their relationship to Mark. 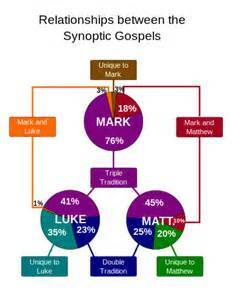 Approximately 76% of Mark finds itself replicated in both Matthew (45%) and Luke (41%), with an additional 18% of Mark finding its way into Matthew’s gospel (10%). These relationships have led to nearly-endless speculation concerning the reasons for the different uses of the same material and relationship between the three ‘Synoptic’ gospels. Like Mark, Matthew’s gospel makes no explicit reference to the author, date, or place of writing. Early church tradition holds that the Apostle Matthew wrote the book, likely before 70 CE and the destruction of the Jewish Temple. Additionally some evidence suggests that it may have been originally written in Aramaic for the Jewish people. But if Matthew were an eyewitness, why would he rely so heavily upon the Markan account, as his use of common material seems to indicate? First, it should be noted that Matthew includes a great deal of material that he does not find in Mark, and thus one would expect his gospel (especially if for a different audience– i.e. 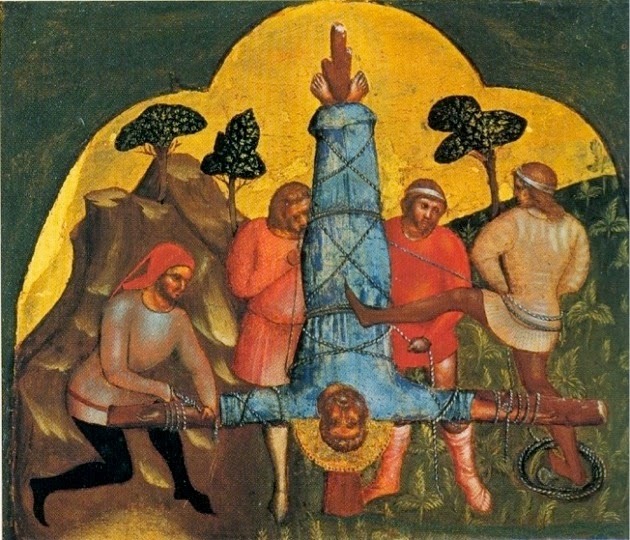 the Jewish people) to demonstrate material rearranged for his emphasis and purpose—which anyone reading Matthew and Mark in parallel immediately notices. Second, if Mark’s gospel was, in essence, the teaching of the Apostle Peter concerning the Lord Jesus, given Peter’s apparent position of high standing within the early church, it would seem at least probably, if not highly likely, that Matthew would use a great deal of his material in writing his own narrative account. Like Mark, Matthew includes a great deal of material that remains hard to fully explain at a pre-70 CE date if not for eyewitness knowledge. Thus, while we can again not verify that Matthew was an eyewitness of the life, death, and resurrection of Jesus of Nazareth, there exists evidence to suggest such a position remains defensible. See Craig Blomberg’s Historical Reliability of the Gospels for brief synopsis’ of explanations for the Synoptic problem. Evidence from Thomas Tradition Christians on the Indian-Subcontinent only supports such an early dating of the Gospel. You write, “Like Mark, Matthew includes a great deal of material that remains hard to fully explain at a pre-70 CE date if not for eyewitness knowledge.”. Could you point to the argument and material supporting about this idea? Thank you. There are two fairly large sets of data for this claim, the first being geographical and temporal descriptions of Jesus’ actions. That is, the timelines offered in the gospels (for travel, festivals, etc) support on-the-ground knowledge, as do the descriptions of the terrain/cities/towns/roads/etc of Galilee and Judea. While this might not seem like anything special in the era of Google Maps, this would be extremely difficult to reproduce as accurately as the Gospels do without eyewitness (or even rather cynically, someone local) support. The second set of data constitutes various teachings, interactions, and prophetic utterances included in the Synoptics. Jesus’ foretelling the destruction of the Temple is, of course, the prime example of this. But also his conversations with particular sects of Judaism, the concern with the Pharisees, and highly Jewish way of speaking–all of these things don’t fit what we know about the landscape of post-70 intra-Jewish conversations. That is, it would make almost no sense for the Gospels to include some of these materials unless there was something at stake: either the fact that the Historical Jesus actually said them and/or the reality of pre-70 intra-Jewish dialogues (i.e., Christianity and Judaism hadn’t yet parted ways, at least in certain locations). Thanks for your comment, I hope those responses are helpful.